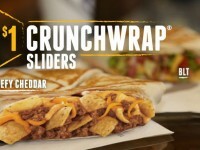 Taco Bell has brought back their Crunchwrap Sliders, but this have have made a few changes to the lineup. For a limited time, you can get a lineup of 4 sliders for just $1 each. Last year, Taco Bell unveiled the Crunchwrap sliders, at that time, it was just the Beefy Cheddar, BLT, and Spicy Chicken. 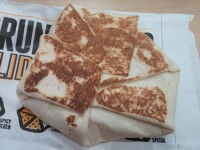 You can read our review of the Crunchwrap Sliders here. This year, they have dropped the Spicy Chicken, and added two new flavors: Spicy Beefy Nacho and a Sriracha Chicken. 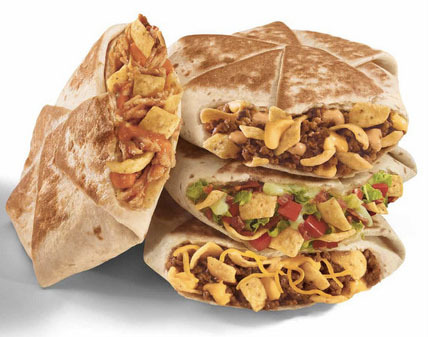 The Crunchwrap slider uses Fritos chips to give the meal a crunch instead of a tostada shell that is used in the regular Crunchwrap. The Spicy Beefy Nacho slider uses ground beef with nacho cheese, Fritos, and a chipotle sauce to bring in the spiciness. 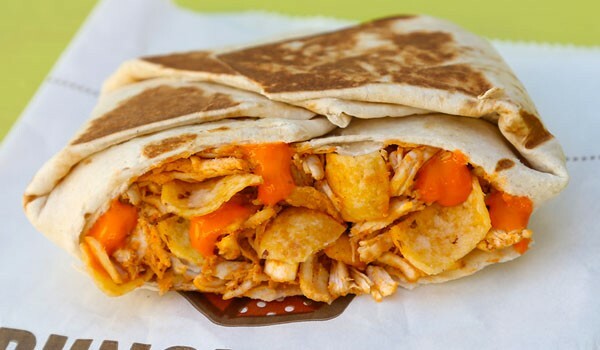 The Sriracha Chicken sandwich uses the Sriracha sauce from the previous Sriracha Quesarito. 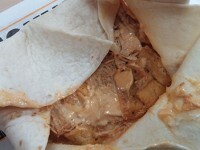 It also uses shredded chicken and Fritos. I think for just $1, the Crunchwrap sliders are a fantastic deal. Unfortunately they didn’t bring back my favorite in the Spicy Chicken, but the BLT is still available which is also fantastic. I am also excited to try to the Spicy Beefy Crunchwrap. (I’m not a big fan of the Sriracha sauce).